A new survey has found that a whopping 68% of British motorists say they have owned at least one ‘cursed’ vehicle – one which is tainted with bad luck. 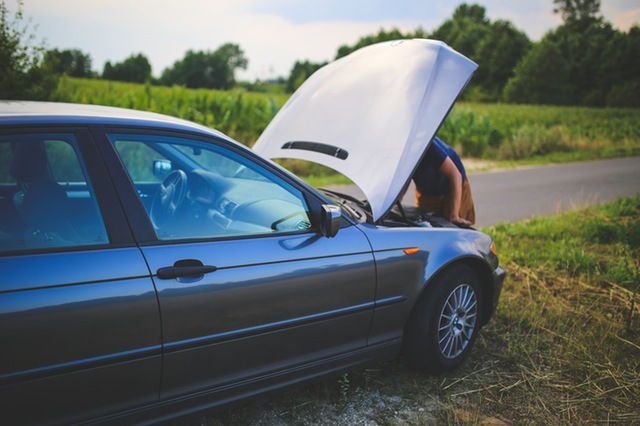 The study conducted by RAC Cars also found that 29% have owned a car troubled by reliability issues, damage or involved in a number of crashes. 22% say that they have had to put up with two cursed cars, with a further 2% admitting to having bad luck with six to 10 cars throughout their motoring career, resulting in them selling a car more often than they would have liked! In total, the RAC have calculated that the average motorist has owned 1.7 vehicles which have been tainted with bad luck. 59% say they have suffered from unreliable cars and breaking down with one of their vehicles, whilst 29% said they have suffered with the high cost of repairs. 28% said that their vehicle had been involved in a collision, whilst 18% said their vehicle was prone to suffering damage. Most problems occurred with people buying used cars (71%), with issues materialising, on average, 7.7 months after the purchase. However, 15% of people said they experienced issues with brand new cars, and 14% said they had issues with both new and used cars. “Very few motorists seem to escape the clutches of bad ‘carma’ with the majority having owned at least one car which has caused them more than their fair share of trouble. “While our research showed some 15% of people have had issues with new cars, the majority have understandably had problems with used vehicles. This makes the old adage 'You make your own luck’ even more appropriate, as there are plenty of things you can do to limit your chances of being caught out by ‘bad carma’. Some car buyers are genuinely unlucky, and vehicle faults rear their ugly heads much later on. However, there are a number of ways you can avoid buying ‘lemons’ – cars with mechanical issues – which we have previously looked at. Find part one of our guide for buying used cars here, and part two here. Whether ‘cursed cars’ are truly a thing, or people need to take a closer look at their driving isn’t our place to say! But if you are looking at selling your car, why not download our app and see how we can help you sell your car for more?